Cakes aren’t just for birthdays. 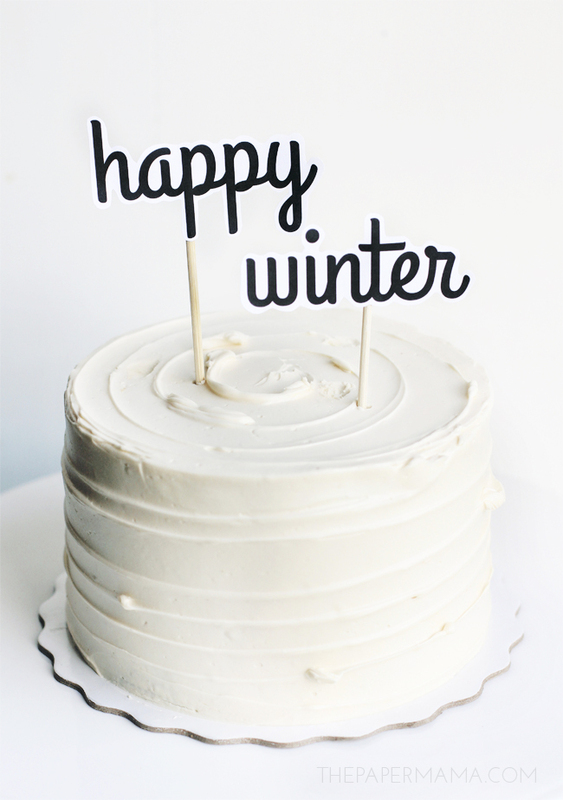 They are perfect for any celebration, even in the Fall and Winter. 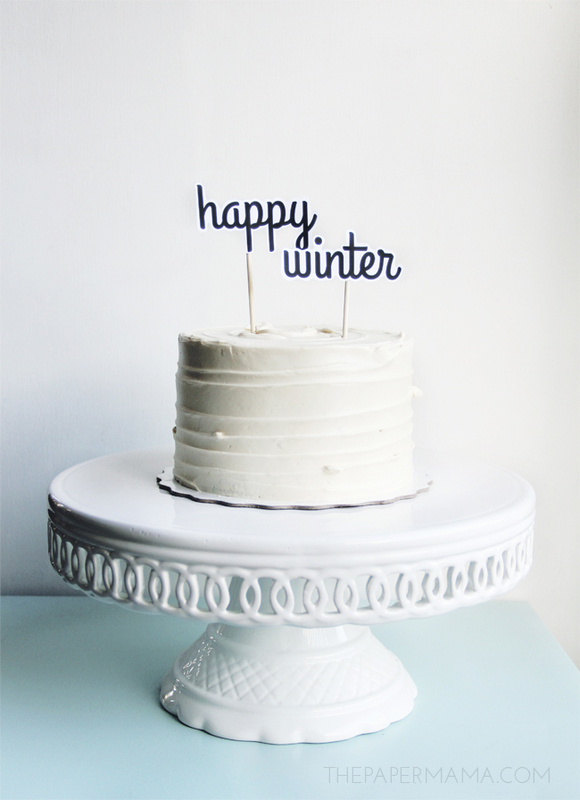 Maybe this season you skip the pie and bring a cake to your holiday dinner instead? I’m sorry. Pretend I never said that, pie is always necessary. Bring pie AND cake to your holiday dinner! There, that’s better. 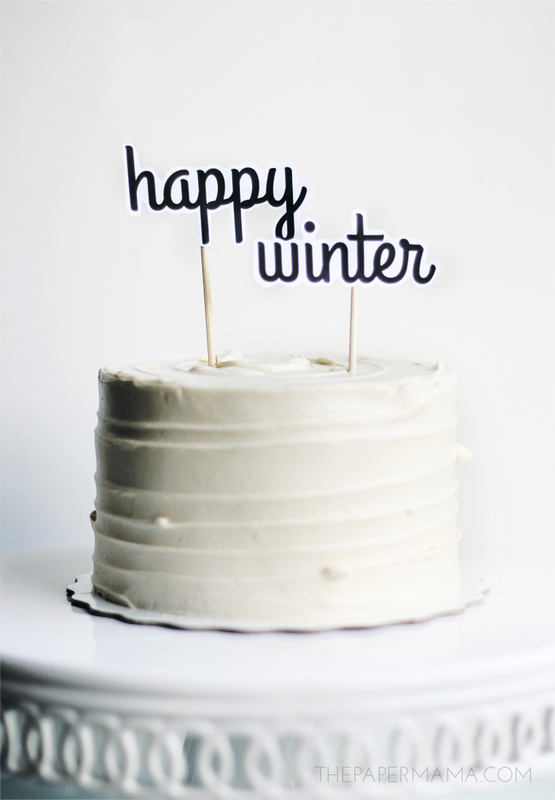 Winter is just around the corner, so be sure to print out my Happy Winter Cake Topper to decorate that cake (and pie) and go! 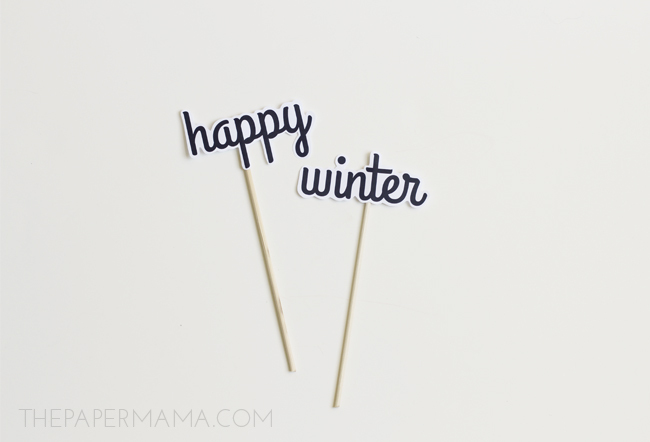 Print out the printable Happy Winter printout onto your white cardstock paper. 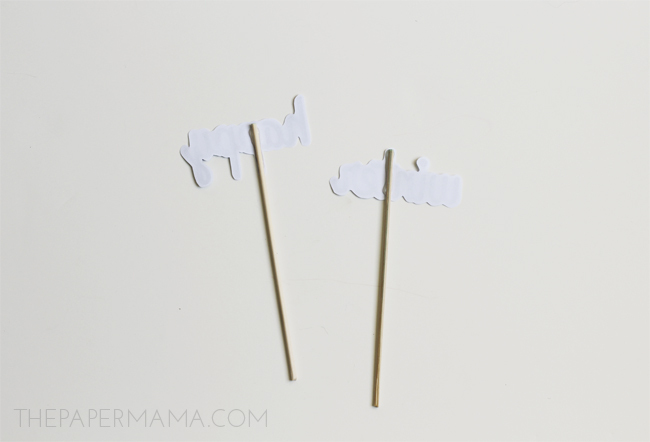 Hot glue the bamboo skewers onto the back of the words. Decorate your cake and done.